Marine has set off on a crazy journey that could change the world of Myst forever! Find twelve warriors and defeat the heartless government of Mystrock! 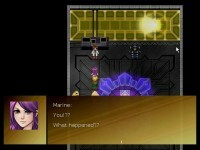 The people of Marine's world are weak and in despair, and even her own father is critically wounded. Fight troublesome creatures and legendary monsters, help people in town, visit secret rooms, collect orbs and complete many, many quests in Millennium 2 – Take me Higher. Change the world of Myst forever! 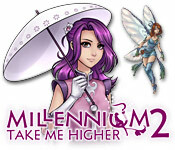 Tell someone about Millennium 2: Take Me Higher Game! This is the best RPG ever! - The story is quite moving and I particularly enjoyed that it focused more on family ties than the constant love crushes that you see in most games! The two main characters are cousins and while he is a wimp she’s a brave girl with a crazy and almost scary passion for jumping through huge chasms – yes you’ll be jumping a lot and it’s funnnnn! - The music is wonderful and really impeccably matched with the locations that you visit and the artwork is simply lovely! - Quest solutions are inventive and funny and will challenge you to think outside of the box. - There are so many secrets in the game that you can’t help but enjoy yourself every time you’re capable to discover one! 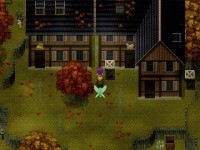 - Finally, I would end by saying that the game just won the award for best Indie RPG of 2009 by RPG Fan! So best is that you just download the demo and give it a try – you might end up getting as hooked as I did! nice looking adventure.. in old-japan rpg style.. cool..